The fast food chain is celebrating their 50th anniversary in Canada. There's no use denying it — people love McDonald's hamburgers, and they love them even more when they're super cheap. On Wednesday, August 16, the fast food chain will offer 67-cent hamburgers in honour of their 50th anniversary in Canada. The specially priced burger will be available between 11 a.m. and 7 p.m. at all locations across the country, and will be limited to three burgers per customer. On Twitter, fans can't hold back their excitement. "I'm giving up #McDonalds..done eating junk." When 67-cent hamburger day falls on your anniversary, it's like @McD_Canada is beckoning you to celebrate your love with extreme gluttony. Those who frequent Mickey D's know that some of their best offerings come from their cheap menu — also known as their Value Picks — which is why this offer is too good to pass up. However, considering the usual cost of a burger is already inexpensive at $1.39, some are wondering what all the fuss is about. To that we say, never underestimate the power of a good deal. While the burger's special price of 67 cents might sound like an odd number, it's actually a nod to 1967, the year the first McDonald's restaurant opened in Canada in Richmond, B.C. This was also the first McDonald's to open outside the U.S., making its anniversary all the more significant. We'd like to think it's also an homage to Canada 150 (since the dominion was created in 1867 and all), though really, we wouldn't have complained if they'd decided to opt for the actual original price of the burger, which would have been around $0.20. 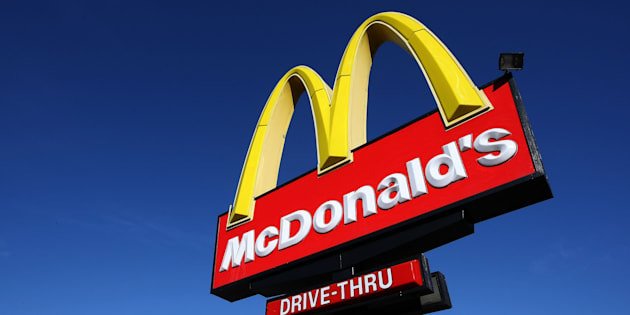 Fifty years later, the Golden Arches have grown in popularity and now have over 1,400 locations across the country. Now if only they'd bring back some of their discontinued offerings. McPizza, anyone?